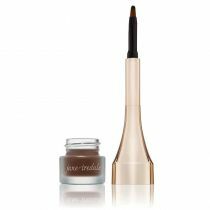 Jane Iredale's top-selling Just Kissed tinted lip plumper has unique, time-released peptides designed to increase hydration. 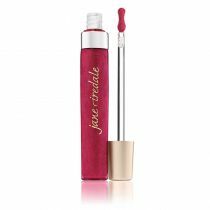 For full, kissable lips, Jane Iredale's top-selling Just Kissed tinted lip plumper delivers moisture and a visible difference in volume that lasts. Essential oils soften skin and stimulate circulation. 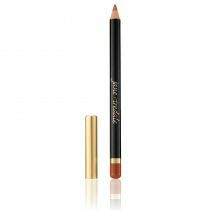 Jane Iredale Just Kissed tinted lip plumper delivers moisture and essential oils that soften the skin and contribute to the appearance of a fuller lip. Stimulates the production of collagen. 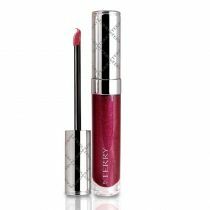 Increases lip hydration, reduces lip furrows and enhances the volume of the lips. Triisostearyl Citrate, Persea Gratissima (Avocado) Oil, Copernicia Cerifera Cera, Cera Alba (Beeswax), Simmondsia Chinensis (Jojoba) Seed Oil, Euphorbia Cerifera (Candelilla) Wax, Helianthus Annuus (Sunflower) Seed Oil, Butyrospermum Parkii (Shea Butter), Zingiber Officinale (Ginger) Root Oil, Citrus Medica Limonum (Lemon) Peel Oil, Citrus Tangerina (Tangerine) Peel Oil, Camellia Sinensis (Green Tea) Leaf Extract, Vitis Vinifera (Grape) Seed Extract, Ethylhexyl Palmitate, Tribehenin, Sorbitan Isostearate, Palmitoyl Oligopeptide, Vaccinium Macrocarpon (Cranberry) Fruit Extract, Tocopherol, Ascorbyl Palmitate. [+/- (May Contain) Mica, Titanium Dioxide (Ci 77891), Iron Oxides (Ci 77489, Ci 77491, Ci 77492, Ci 77499), Red 30 Lake (Ci 73360), Red 7 Lake (Ci 15850)(Aka 202)] Please be aware that ingredient lists may change or vary from time to time. Please refer to the ingredient list on the product package you receive for the most up-to-date list of ingredients.